"Met and Exceeded Expectations. An Epic, Renewed." 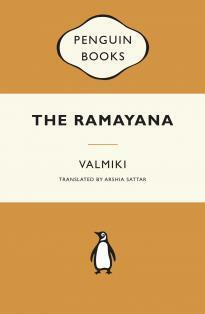 This abridged translation of Valmiki's Ramayana, by Arshia Sattar, based on the Baroda Critical Edition, is a beautiful effort and should be on the reading list of anyone interested in reading, or re-reading the Ramayana. The Ramayana, also known as "adikavya" - the first poem, and its putative author, Valmiki, as "adikavi" - the first poet, is also an epic, one of two in Hindu literature, the other being the massive Mahabharata. The basic story of the Ramayana is more or less known by most Indians - the prince of Ayodhya - Rama, son of King Dashratha and Queen Kaushalya, and husband of Sita, on the eve of his coronation as crown-prince - is banished to live for fourteen years in the forest as a result of a boon Dashratha had granted to his wife Kaikeyi, step-mother to Rama. While in the forest, in the thirteenth year of exile, Sita is kidnapped by the Lord of Lanka, Ravana. Rama and Lakshmana take the help of the monkey king Sugriva, his faithful follower, Hanuman, and the monkey army, to cross the ocean, invade Lanka, and kill Ravana and free Sita. What this book seeks to do is to follow the "Baroda Critical Edition of Valmiki's poem" ("prepared by the Oriental Institute at M.S. University, Baroda"), "constructed by the meticulous and painstaking comparison of manuscripts and manuscript traditions." The "primary" motivation in such an exercise as the critical edition is the "scholarly desire to reconstruct the original text." While critics of the "critical method" have been accused of "romanticizing the oral tradition", "the idea that the critical edition defines the boundaries of the 'text' itself persists, despite the fact that all those familiar with Indian texts agree that a unique notion of tradition ("परंपरा " - parampara) informs and circumscribes these texts." 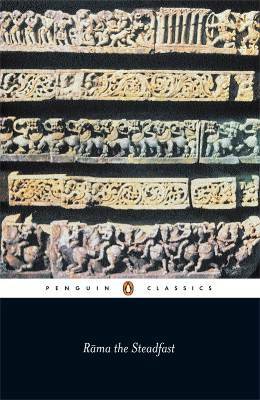 The question whether there should even be a "critical edition" of epics like the Ramayana and Mahabharata, that owe their widespread popularity as much to their stories as to the tradition of oral recitation of the epics by bards, poets, and itinerants who took the epic to all corners of the country, and beyond, employing classical tools like "iteration, formulaic composition" to aid memorability, is not one that I seek to ask, nor is it one that I, at this stage at least, am particularly interested in finding an answer to. The challenge in this abridged translation is two-fold: one is to excise without altering the story, while also preserving the lyrical nature and the underlying tragic arc of the epic. It is in these that the translation succeeds excellently. The other challenge, easier in some ways, is to not add anything to the tale that is not there in the Critical Edition. Perhaps the two biggest differences between Valmiki's Ramayana and versions that have followed are in the treatment of Rama's divinity, and attempts to reconcile Rama's character with his two flawed acts. So much is the dissonance that these acts evoke in the reader that thousands of years have passed by in trying to address and reconcile these acts. While later works based on the Ramayana - derivative works, regional translations, retellings, dramatizations - have attempted to address the "two unresolved issues" in their own way, it is illuminating to read what the Critical Edition has to say on the topic. Rama is not left unscathed - whether in his imperious rejection of a dying Vali's accusations, his rationalizing his rejection of Sita, or his lack of any discernible remorse at his treatment of Sita - Valmiki leaves us with a character who is human, and flawed. This dissonance - between the divinity of Rama as an incarnation of Vishnun on the one hand, and his human failings and moral frailty on the other hand - was sought to be addressed, even suppressed perhaps by later retellings. The original tale leaves it to the reader to grasp and grapple with this unresolved issue. A simplified and consistent portrait of a divine god who could do no wrong made Rama worthy of worship and as an ideal people and society could aspire to, but it also deprived us of the opportunity to study and learn from the life of a human. 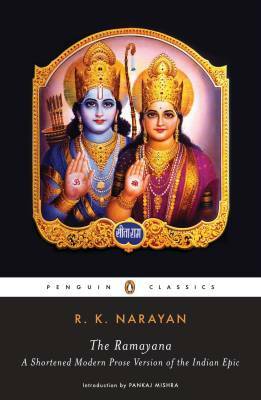 Whereas Rama's devotion to his father, and even to his step-mother, has defined the ideal of a dutiful son in the Indian psyche, and whereas Sita's following her husband in exile, and then her faith in the face of Ravana and his rakshasis in Lanka have defined our expectations of an ideal wife, Rama's failings are equally instructional. They made him human. Humans can learn from humans, gods humans can only worship. At some point the reader, such as myself, may ask how the accuracy or the faithfulness of this book should be evaluated. Against the Critical Edition? Few have read the Critical Edition. Even the editors of the Critical Edition exercised discretion, subjective at times one can be sure, in deciding what to include and what to exclude. The Critical Edition also has its critics - some of the most popular episodes that in some ways define the epic for the common man are sometimes not to be found in the Critical Edition. An epic owes its status as much to popular perceptions as to the story itself. Or do you evaluate it against the original Sanskrit text? It does not exist. The earliest extant manuscript of the Ramayana is less than a thousand years old, while the epic itself dates back at least a thousand years before that. Against Tulsidas' Ramcharitmanas? No - that is not the Ramayana, it is Saint Tulsidas' retelling, not a translation, and that too set in a particular moral and societal context. Against modern versions like those by RK Narayan (which is actually a retelling of Kamban's version), Kamala Subramaniam, or C Rajagopalachari? In the end, this becomes a subjective and personal decision. As a subjective and personal decision, it is open to debate, and it is open to change, as should be expected. Therein lies an escape hatch for the reviewer too! A note about the edition. This is a "Penguin Black Classics" edition. More than anything else, there are two points I want to point out. The first is that the paper is thin. While the print from one side does not bleed to the other, the paper does feel cheap. The second, and more redeeming point, is that this is cloth bound and basically a lay-flat binding. This is important. You open the book to any page and lay it flat without having the pages close up on each other. It means that the book is going to last a while without running the risk of the pages coming apart. There is a cheaper edition also available, at less than half the price of this edition, but I fear that the pages are likely to start coming apart fairly soon.